It doesn’t matter where you are; a leaky roof is a disaster. Furniture and flooring get damaged. You need to worry about mold and mildew. You can’t really fix anything until the rain stops, but as it is raining and everything stays wet, your likelihood of permanent damage increases. You sit there on pins and needles waiting for the rain to stop, put buckets and pots everywhere to try and minimize the damage. It is just a gigantic debacle that no one wants to have to deal with. Proper maintenance will help extend the life of your roof but there comes a time when you just have to replace it. 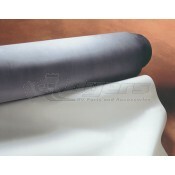 At Dyersonline.com we have everything you need to replace your rubberized roof. We have complete kits for those not familiar with the process. The rubber roof installation kit comes with everything you need to install a new roof for your RV. The installation kit even comes with easy to follow instructions and a warranty card. We also carry rubber roofing systems in a variety of sizes. The Dicor Rubber Roofing system is puncture and tear resistant. It is reflective and refractive to UV rays and has received the Energy Star rating for environmental efficiency. The Dicor rubber roofing system is built to last with the industries only 12 year warranty. When you get Dicor you know you are getting the best in the industry. The membrane has been tested for weathering and discoloration in a 20 year accelerated aging test with no discoloration. Don’t wait until an emergency if you know it is time to replace your rubber roof come check out the options on Dyersonline.com. We will answer any question to the best of our ability so you can get the roof installed without a hassle. Come order a new roof today, we are here to help.